Myth #1: Just take as many tests as you can. 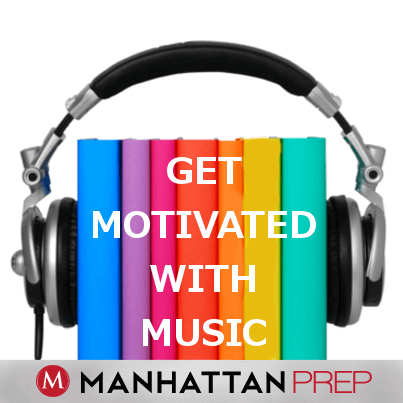 In general, you’ll hear Manhattan Prep teachers say over and over again, quantity does not trump—or match—quality when it comes to LSAT preparation. It is better to take 1-2 tests per week and spend twice as long reviewing them as you did taking them than it is to squeeze in 4 or 5 tests and rush through your review, if you even have time to review at all. You will learn logic by studying logic methodically, systematically, and dedicatedly. Not by binging on logic problems, hoping that the sheer volume will somehow leak into your brain. Myth #2: Memorize all the tricks and tactics, and you’ll get a 170+. 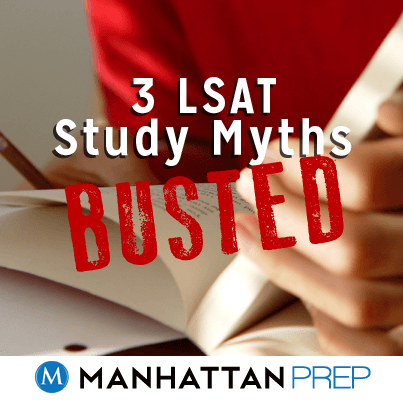 The LSAT, I’m sorry to tell you, does not boil down to a set of tips and tactics and “gotcha” solutions. While devices like mnemonics and rules of thumb such as, “The word ‘thus’ indicates a conclusion” are certainly useful, they should not be relied on to carry your score. 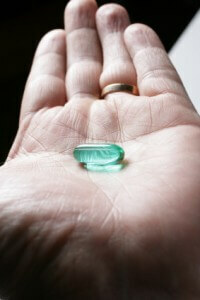 They should be used as supplements to logical thinking, in other words, not replacements for logical thinking. Be wary of study methods, people, and books that appeal to your wishful thinking—while tricks and tactics can be helpful, they cannot substitute for rigorous study of the actual concepts being tested, no matter how good they are. Myth #3: Learn conditional logic, and you’re set. Conditional logic—the kind of logic that goes, “If X, then Y,” and all its variations—is all over the LSAT. There’s no question about that. And for this reason, learning it is essential. There’s also no question, there. But a common pitfall is believing that learning conditional logic and applying it across the board is the solution to breaking 170, and that’s just not the case. The better plan is to learn condition logic backwards and forwards, yes, but then, learn how to recognize where it should be applied and where it should be set aside to wait for you while you use the other tools in your kit. Last week I wrote about how to negate extreme answer choices, and this week we’re going to talk about mild statements that appear in answer choices. The key with mild statements is, just like it was with extreme statements, to make them untrue but without seeking their polar opposite. How would we make this untrue? We’d say there’s no milk on the floor. There was some, and now there’s none. We mopped it up. How do you mop up that chance of rain? There’s no chance of rain tomorrow. Notice what I’m doing here? Think about it. 1. Jackson Pollock may be one of the best painters that ever lived. 2. On occasion, Jillian will take a nap between 3 and 5 or sometimes 3 and 6. 3. Often, but not always, Jim likes to take pictures of rainbows. 4. The early bird sometimes gets the worm. 1. Jackson Pollock is not one of the best painters that ever lived. 3. Jim either never likes to take pictures of rainbows or always does. 4. The early bird never gets the worm. What if we wanted to negate just the standard saying, “The early bird gets the worm.” Would we say, “The early bird never gets the worm?” Think about it for a moment before reading on. Okay, if you answered no, you’re correct. “The early bird gets the worm” is an “extreme” statement in the sense that we interpret it to mean the early bird always gets the worm. So, harking back to the last post, we poke a hole in it: The early bird sometimes doesn’t get the worm. 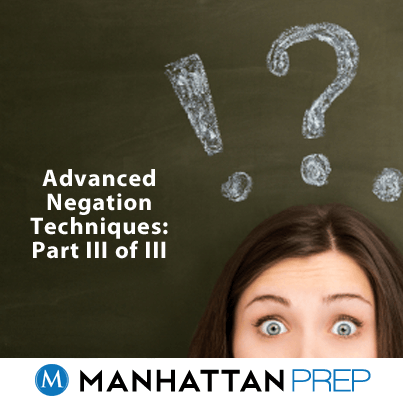 For much more in-depth explanation and practice, turn to the negation section of the Manhattan LSAT Logical Reasoning Strategy Guide.